The Calgary Stampeders won the Grey Cup tonight here in Edmonton, defeating the ottawa Redblacks 27-16. 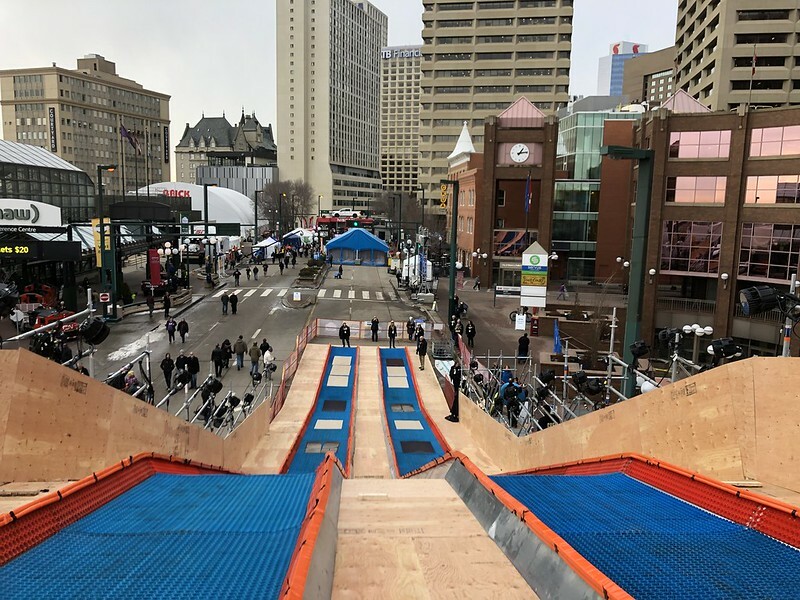 Though the Eskimos weren’t in the final, Edmonton can still count a win thanks to a successful and family-friendly festival that led up to the big game. Terry Jones said in the end “Edmonton followed an overwhelmingly successful week, with yet another underwhelming game.” Hotels in the downtown were sold out and an estimated 500,000 people were expected to attend Grey Cup-related events. 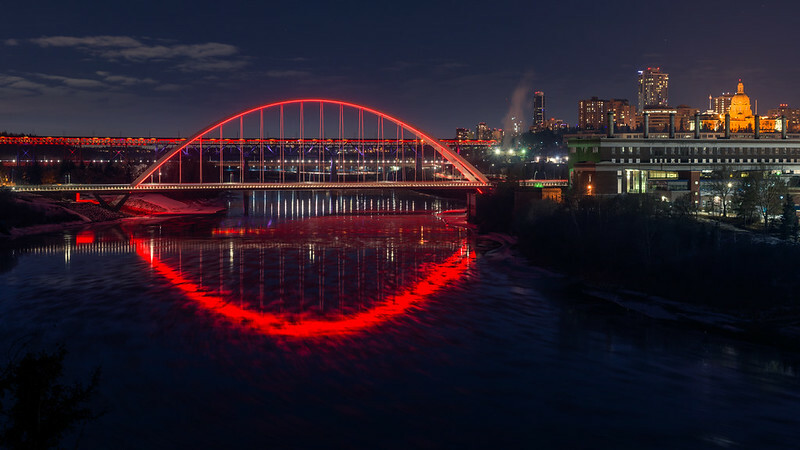 Citing the way it has handled the “fiasco around the Eastglen Leisure Centre,” Elise Stolte argues that Edmonton doesn’t deserve its international award for public engagement. On Tuesday morning the Edmonton Oilers announced they had fired head coach Todd McLellan and replaced him with Ken Hitchcock. AIMCo will consolidate its workforce on eight floors of HSBC Place, which it purchased in 2017, once renovations are done a year from now. In the latest episode of Speaking Municipally, Troy and I discuss the Grey Cup Festival, public engagement, and Councillor Nickel’s failed UCP nomination bid. According to maps from the City of Edmonton, more than 1,800 homeless camps were cleaned up between January and October of ths year. “It is a deeply disturbing issue,” said Ward 6 Coun. Scott McKeen, who said seeing the maps might shock many Edmontonians. Edmonton’s first shipping container house for immediate sale is about to hit the open market. Our city already has apartment buildings and garden suites made of sea cans, but this is the first house. I saw plenty of discussion this week about how Black Friday never used to be such a big deal here, but now it is. Maybe having lots of American stores in West Edmonton Mall is a factor, but I’m willing to bet it’s the online stuff that has really led to its bump in popularity. And now we have Cyber Monday! Setup is underway for Candy Cane Lane which officially opens on December 7. This year is the 50th anniversary! Get the latest on Media, Tech, Health Innovation, Music, and Council with Taproot Edmonton’s latest roundups. If you missed the electric autonomous shuttle last month you’ll have another chance to take a ride this week at the University of Alberta’s south campus. The Oilers host the Stars on Tuesday, the Kings on Thursday, and the Golden Knights on Saturday at Rogers Place. The University of Alberta presents nine lightning talks celebrating social science and humanities research at Open Minds on Tuesday at the TELUS Centre. The Art Gallery of Alberta is hosting Meet our Curators on Tuesday evening, a free event to welcome five new curators to the team. Homeward Trust is hosting a Community Update on Edmonton’s Plan to Prevent & End Homelessness on Wednesday afternoon at the Royal Alberta Museum. The City is hosting a City Plan Workshop on Wednesday afternoon at Boyle Street Plaza. interVivos kicks off its Fall 2018 Mentorship Program at the Metterra Hotel on Whyte on Wednesday evening. The Festival of Trees starts on Thursday at the Shaw Conference Centre and runs until Sunday. The fall edition of the Butterdome Craft Sale starts on Thursday and runs until Sunday. Royal Bison is back for two weekends – the first runs Friday to Sunday at the Old Strathcona Performing Arts Centre. The Old Strathcona Business Association is hosting the Winter Whyte Light Up on Saturday at McIntyre Park. Edmonton’s NextGen presents City Jam 2018 on Saturday at the Starlite Room. The Hand2Hand Christmas Market takes place Saturday at the Terwillegar Community Church. Zoominescence 2018 starts on Saturday at the Edmonton Valley Zoo.